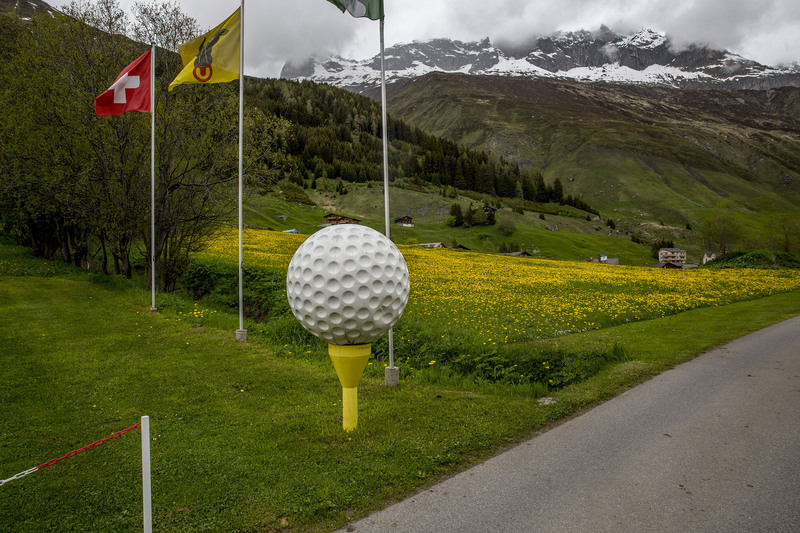 You just walk westward from Realp and you’ll find this golf ball marking the entrance to the golfcourse on your right. On your left you will find the Railway Depot of DFB AG. In my prior post you can find more details of DFB’s History. As you can see now more clearly the depot just starts left from the Golf Ball. Among others a real snow plowing loc. 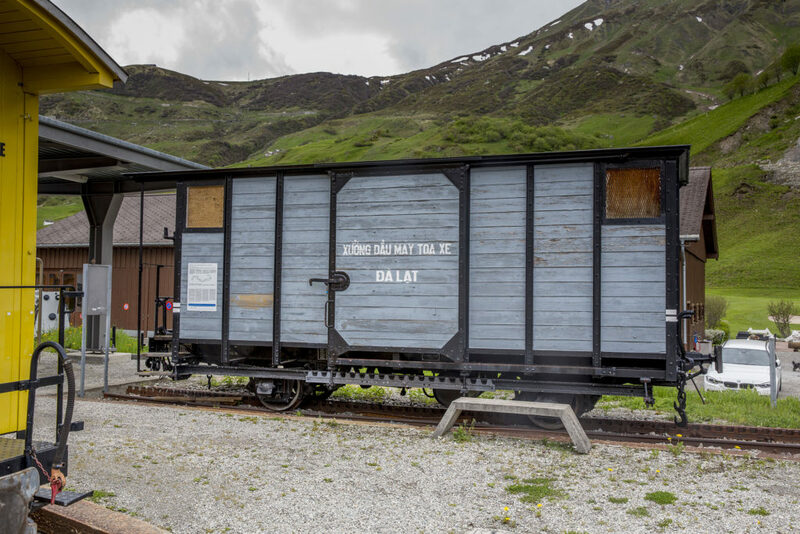 There is a mini museum in this wagon that tells the story of the Vietnamese narrow gauge railroad where this wagon was used and where several steam locomotives were sold to after the mountain route was electrified in the 40ies. If I see it correctly at present 2 locomotives that were repatriated from Vietnam in the 90ies are being rebuilt in the Loc shed. The amateur railway lovers are united in the VFB 0r Verein Furka Bergstrecke or Furka Mountain Route Club since 1983. It has several chapters, not only in Switzerland, but also several in Germany and one in The Netherlands. It is a reservoir for all the volunteers who succeeded to rebuilt the railway itself and do the maintenance and who work in 3 sheds, one in Uzwil, one in Aargau and one in Realp. Locomotives and chassis are being rebuilt or renovated in Uzwil. wagons are being rebuilt / renovated in Aargau. The Realp shed is for Diesel/electric and for steam maintenance. It’s fascinating to see how they succeed to operate the railway very professionally from the second half of June to the first half of Oktober each year. The biggest achievement of the club members is the return of the original steam locomotives from the old days. These were sold to Vietnam after the introduction of electrical power in 1941, where they were in operation until the mid-seventies. Afterwards, they were turned off in a locomotive shed, where they were discovered by a member of the VFB. The plan quickly ripened the to put the locomotives back to the old mountain route. With a great deal of effort it was possible to recover a total of 6 locomotives in Vietnam in 1990 and transport them to Switzerland. Four of the locomotives were original BFD / FO, the other two had been built in Switzerland, but were delivered directly to Vietnam. In 1993 the two locomotives HG 3/4 1 “Furkahorn” and 2 “Gletschhorn” were restored in the Meiningen factory of the former German Reichsbahn and were put back into service on 27.3 and 30.7.1993 respectively. Before the opening of the Furka Base Tunnel, the Glacier Express used the Mountain traject as well and then the Mountain Route was considered one of the nicest parts of the Glacier Express tour. 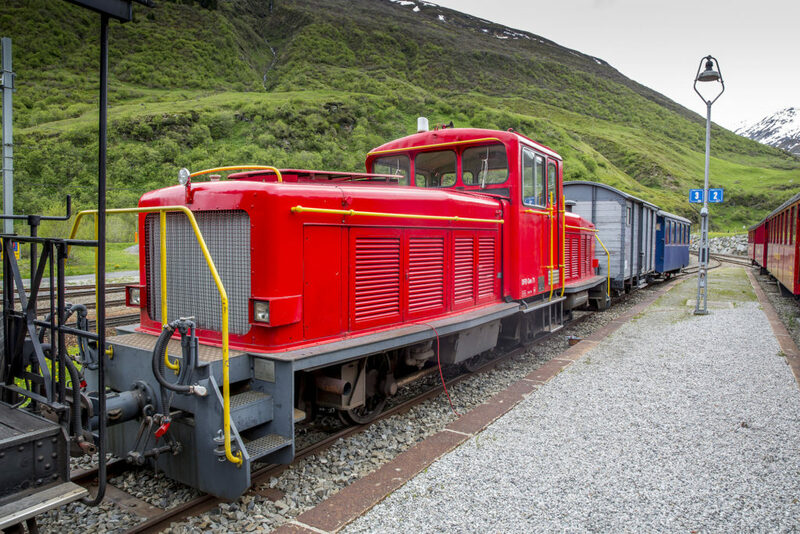 An interesting read on the Furka Steam Railwy can be found at the International Steam site. I like traveling by Car. On June 4, 2016, on my way to Italy I traveled the Gotthard Pass as the Gotthard tunnel seemed to take a lot of time because of the traffic lights regulating the number of cars in the tunnel (two lanes only). There I noticed that the road to the Gotthard pass crossed the Furka Pass road. A road to the Rhone Valley in the Swiss Kanton Valais (or Wallis). In the past I had spent a couple of winter sport holidays at the other side of the Furka Pass in the Bettmeralp ski region and was curious to explore a bit of the eastern side of the pass. The first photo shows part of the road being widened which resulted in several one lane traffic light regulated stops. That also took some time. But then a bit further on the Furka Pass Road in Realp I ran into a part of Swiss narrow gauge Railway history, the Furka Steam Railway. Just west of Realp is a golf course and it mus be one of the steepest golf courses of the world, as it stretches along the road to the Furka pass. Opposite the golfcourse is a depot of DFB AG with several very interesting trains and wagons. 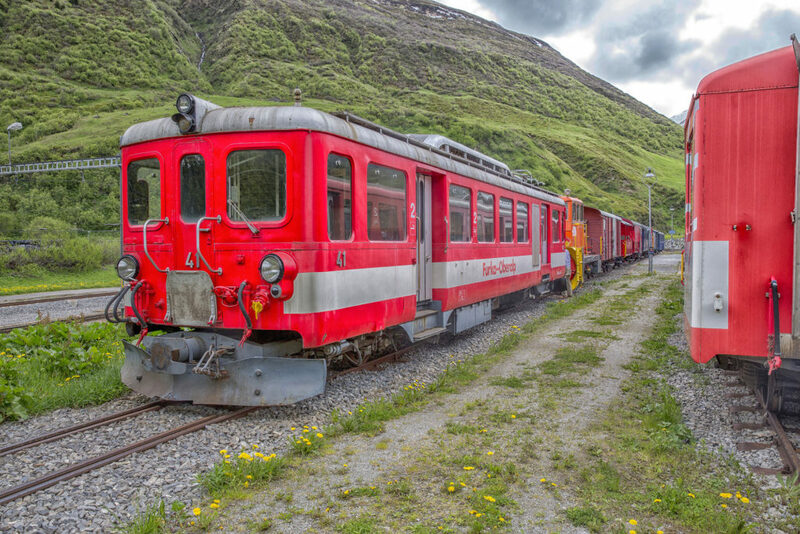 One of the most romantic train journeys is the Swiss Glacier Express which connects the three pioneer cities in Alpine sport Zermatt, Sankt Moritz and Davos. Part of the journey is the narrow gauge railway track between Brig and Andermatt/Disentis. Currently the Glacier express is operated by the Matterhorn Gotthard Bahn and the Rhaetian Railway. The first concession for a railroad through Goms (a distict of the Wallis Kanton rougly between Brig and Andermatt) and via Bedrettotal to Airolo was issued in 1886. 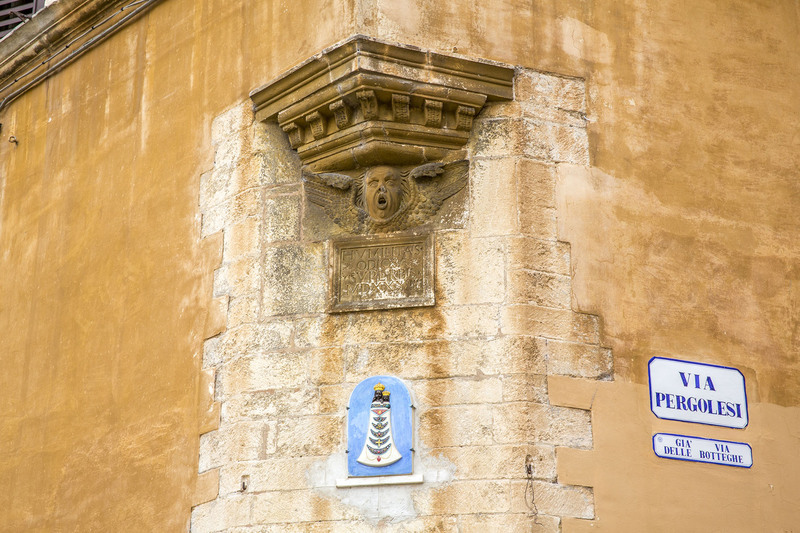 Financial problems prevented the construction. It was followed by numerous other projects. In 1907 a licence to operate an electric narrow gauge railway with partial gear operation from Brig to Gletsch and on to Andermatt Oberalp Disentis was granted. 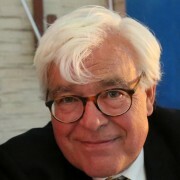 Since the majority of shares in Brig – Furka – Disentis Bahn BFD was held by French shareholders, the French called the shots and required to operate the railway with steam locomotives rather than electric locomotives,in order to save costs. On June 30, 1914, the steam operation between Brig and Gletsch was opened. When the First World War broke out shortly thereafter, the Italian railway workers went home and the construction work between Gletsch and Disentis had to be postponed. 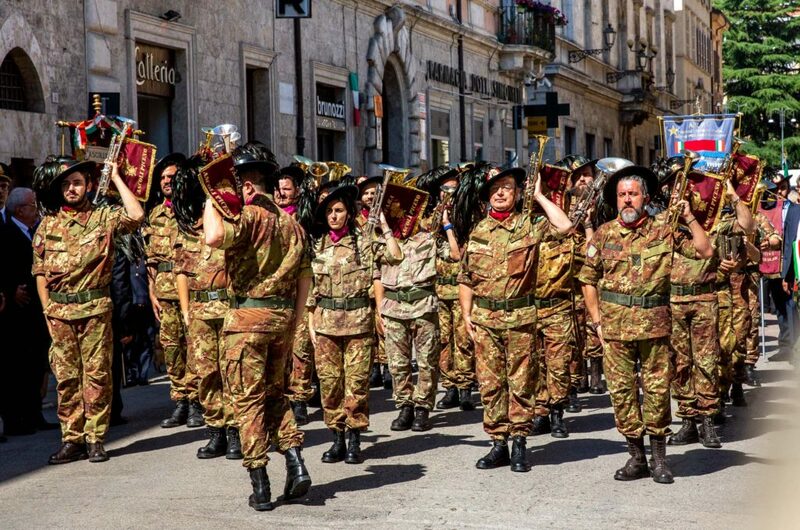 Because of the incomplete-ended route and the war, the BFD came in financial difficulties. The French shareholders didn’t want to grant extra money and in 1923 the company was liquidated. 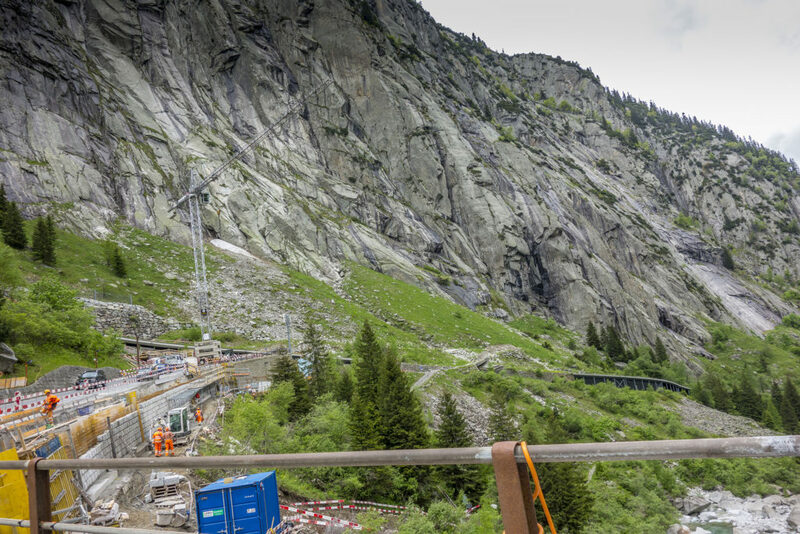 Politicians knew that the still unfinished, 100 km long Alpine railway was a dire need. 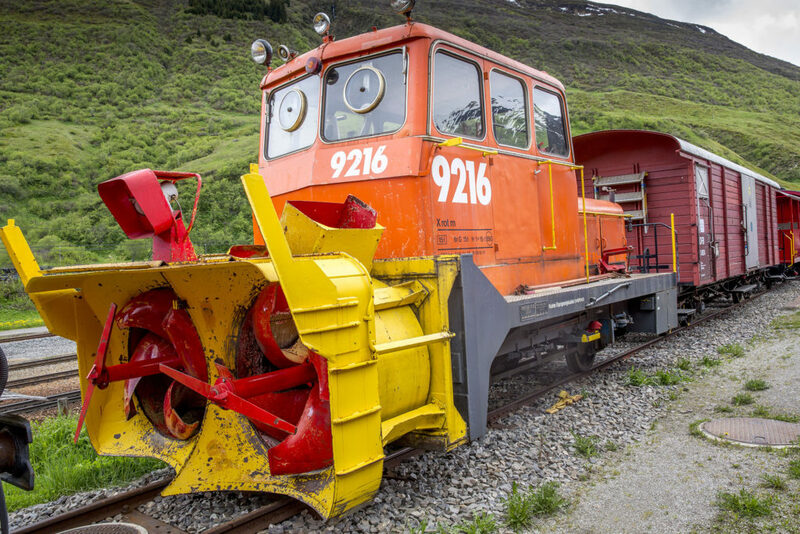 A new company called Furka – Oberalp Bahn FO was founded and led the construction work quickly to end. In 1926 train-traffic between Brig and Disentis was finally possible. 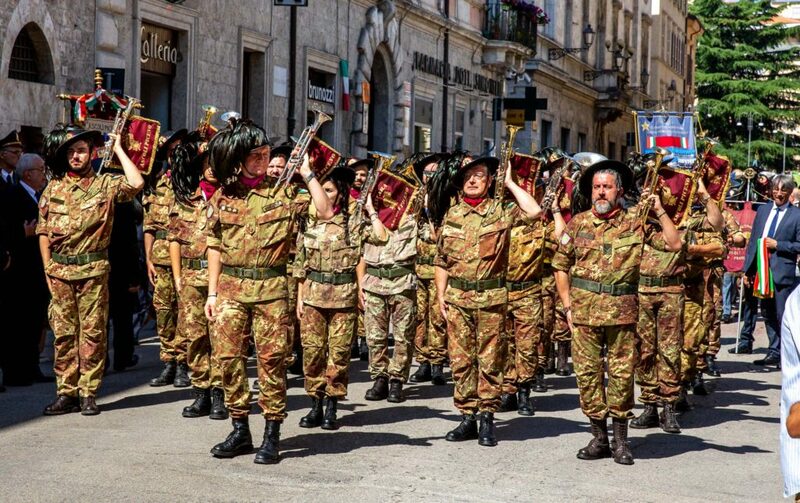 From the beginning, only a summer operation was provided on the Furka, a winter operation came not because of the exposed position in question. 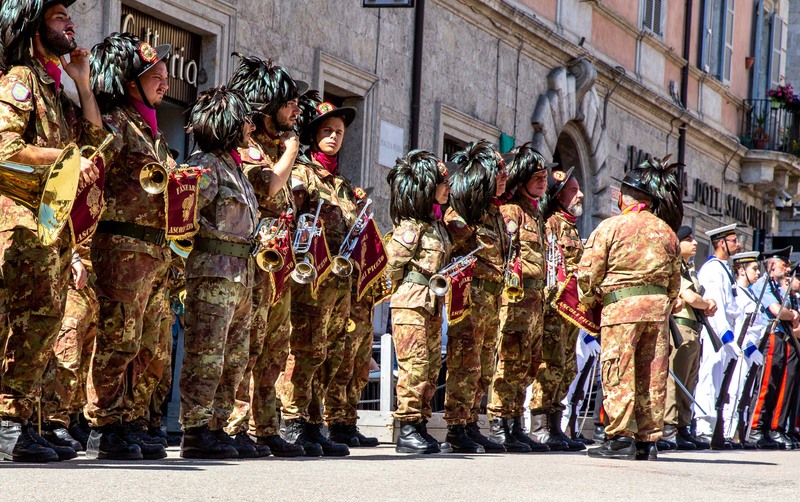 This circumstance was of course an obstacle for tourism on both sides of the Furka and the FO took the both 7-month separate operating higher expenses and lower income massively. 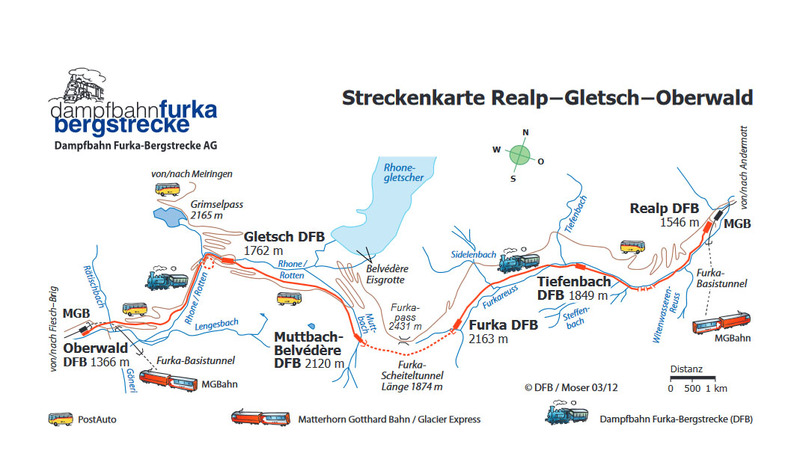 DFB AG means a company with shares named Dampfbahn Furka-Bergstrecke. It is a publicly held company that owns the license to drive with trains on the track. It has nothing to do with the Glacier Express as the Glacier Express travels through the Furka Base Tunnel nowadays, but I needed the use of their map to guide you to the exact location of the Furka track in mid Switzerland. The Glacier Express travels the Furka Base tunnel that you don’t see on this map except both entrances at the Oberalp and Realp sides. 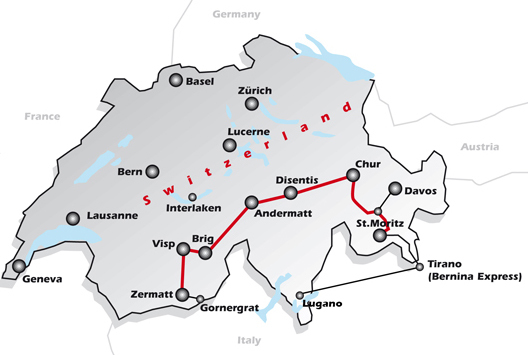 The red track on this map is the Furka Steam Railway – DFB AG part.